I am a lover of summer weather, but as we sat through a heat wave the last few weeks of September, I was very ready for actual fall weather to arrive. The sun is still out and we have been enjoying these first few days of October. Cue the pumpkins, mums and gorgeous fall colours. On Thanksgiving weekend we went full-blown fall family fun mode. We started the weekend off with a drive down to Rockton, Ontario for the Rockton Worlds Fair. We had so much fun, B loved the rides and the midway, it was too bad he was just shy of the height requirements for many of the rides, but he LOVE the ones that he was able to go on, especially the ship swing. His excited smile was priceless and he spent the entire time waving at us from the ride. The next day we had a low-key morning at home with a very sleepy toddler, who decided to nap before lunch on the couch. So we took advantage of a full afternoon, by heading over to Strom’s Farm in Guelph to check out the activities and pick out a few pumpkins! Overall such a great weekend and a great start to fall. I hope you and your families are enjoying October as well! Until next time day dreamers. This past weekend we celebrated B’s second birthday. I decided to keep it casual again this year, as he is still young enough that the parties are more for the adults than the kids. We had a small gathering of friends and family to celebrate our little man. In true toddler fashion he was so impressed by the first gift he opened, we struggled to get him to open anything else. To ring in the big second birthday we have begun the transition from crib to bed. My parents picked out this amazing bunk bed for him from Pottery Barn Kids and I went full mom mode on his fun Star Wars sheets, also from Pottery Barn Kids. I am so in love with his new room and I think he is too, night 1 in the big bed went very well, other than a 6am wake up call, he didn’t get up once! 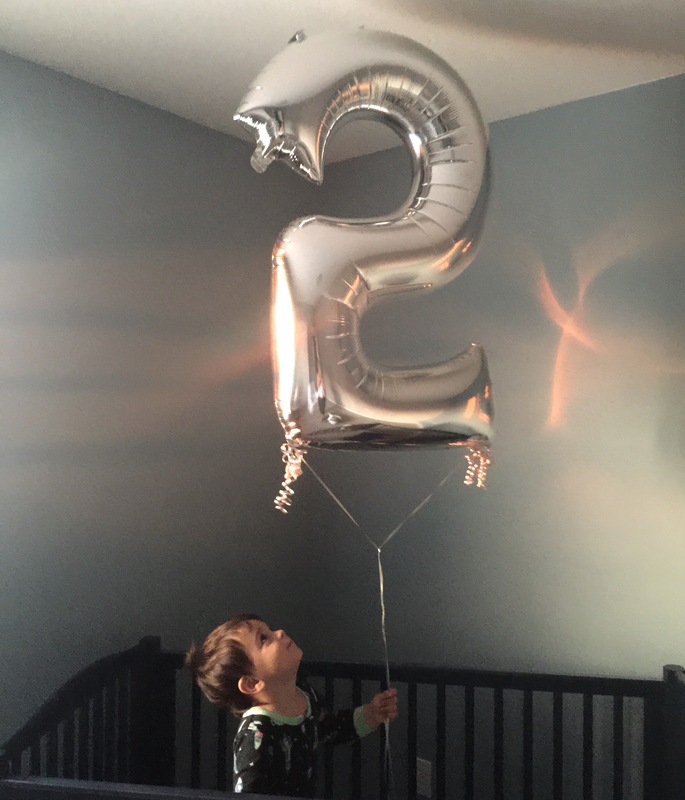 And then he was TWO! I am trying not to freak out over here, but I am officially a mom of a two year old! I can’t believe my little man is turning two today! On this day two years ago my little 7 pound 3 ounce bundle of joy joined our family at 11:18pm. He is still just as sweet and has grown into a funny and outgoing kid. This little man changed my life for the better and I cannot wait to see him grow and change over the year. Staying fit with a toddler. Keeping a fitness routine when B was an infant was relatively easy. Sure I was exhausted, but he had two dedicated nap times when I could sneak away or I could throw him in his carrier and he would sleep through a class at the gym. Fast forward to toddlerhood and making time for the gym has become a little bit harder. I am now faced with only 1 nap and a child who wants to touch everything and run around if he joins me at the gym. Regardless, if you want it, you make it work. Find a routine and stick with it, the extra boost of energy I get from working out and the mental break is worth finding the time. Take advantage of nap time. If you have a home gym, a fitness app/video or a virtual trainer (get your trainer here!!). Get your runners on and take advantage of a two-hour nap to get a workout in. Work out a schedule with your spouse/caregiver. D and I have been lucky that we can trade-off on parent duties so we can both make it to the gym. We are very involved in the fitness community, so making time for BOTH of us is important. Find a schedule that works for you and your spouse. Join a kid friendly gym. You don’t have to go to a conventional gym to find childcare or a kid friendly space. D and I do CrossFit and we are so lucky that this community is open to kids. B can hang out when we work out or many CrossFit boxes have classes set up for mom and baby too. Involve your kids. Whether this means using your kid as a makeshift weight or you use them as your running cardio between sets, make it fun. Trust me you can still get a sweat on while playing around with your kids. Bottom line, make a schedule that works for you and your family. If you have a game plan for workout times it will be easier to schedule or involve your kids and actually make it happen. Becoming a mother was a game changer. What I thought I knew as my life path pretty much imploded on me. I went from working full-time in a high stress event planning job, to being home day in and day out with a tiny human. What I did not expect, was how this tiny person could change my perspective and my goals so drastically. First off, pre-baby I would not have described my career as high stress. Sure events are stressful and high pressure, but day-to-day I wouldn’t say the event planning life is always high stress. However, stepping back from that role I realized just how much stress I had been under. I may have gained weight during my pregnancy, but I lost about 10 pounds of stress off of my shoulders when I stepped back from corporate life. As my life became all about me and this baby, despite the needs of an infant, I felt for the first time in my life I could actually focus on myself. Before B, my life was a mixture of school and finding the next steady job. Maternity leave was truly the most “time off” (from work/school) I had since high school! As lovely as this was to be at home totally focused on baby, I knew I needed the best of both worlds. Time I could dedicate at home with B and time that could focus on growing my business. 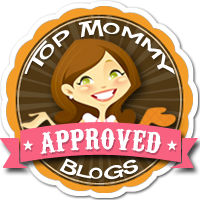 Life as a mompreneur is no walk in the park. I am not a lady who lunches and sits in a coffee shop reading books with a cup of tea all afternoon. I am in a constant hustle. Even if that means working, writing, or working out during B’s afternoon nap or into the late hours of the evening. Building your brand from scratch in a new town is no cake walk. To get by I do a mix of building my personal training business (IMPROVE Fitness), working part-time for my husband’s business (BluPrint Design + Build) and writing up a storm for my lovely day dreamers here! My stresses are different. I don’t think there is such a life where no stress exists. It’s how you handle it and how you balance it. I have the luxury of being at home with B, making my own schedule and being my own boss. But I work for it. Long, weird hours, sometimes with low return. Is that stress worth it. So, I had a great baby. We got him into a great sleep routine very early on, he was a great eater and over all a happy kid. Fast forward 10 months and we are in full-blown toddler mode. Mind you, B is still a great kid. He has a sweet personality, he is super outgoing and he still has a great routine, however…he is a toddler and one that has entered his terrible twos a bit early. Toddlers are a clean freaks nightmare. I feel as if I spend the majority of my day following around a toy and food tornado. My husband asks why I bother sometimes. My only answer is for the two hours he is sleeping before I go to bed, I want to relax and seeing a s*&t storm of toys in the room I currently reside in, does not make me feel very relaxed. Toddlers all have a favourite word. N to the O. When this kid is grumpy he is GRUMPY. I begin treading lightly when the answer to everything even – would you like some ice cream? – is no. However, toddlers are also simple people, I can often win him over with some variety of fruit or a “cookie” aka a ritz cracker. Toddlers make you say insane things out loud. Between myself and my friends also navigating through toddlerhood, I have heard some pretty interesting things said aloud by mothers. You know, things such as don’t touch/eat – insert gross thing here – and so on. Maybe it is to keep us on our toes mentally or to overtly let other moms know that you aren’t alone in this craziness. Toddlers make you sound like a broken record. This drives me NUTS. I hate repeating myself and can totally guess why B loves to yell the word no. I am actually surprised he doesn’t follow it with his own name, seeing as he repeats pretty much everything I say. Sometimes I repeat myself so many times, I am not even sure why I was saying don’t do/touch/eat that in the first place. Life with a toddler, is indeed a hot mess. And when I think I am about to completely lose it, B cracks that cheeky award-winning smile and I can’t help but remember why I love him like no other. I remember pre-Bennett, day dreaming about how amazing it would be once we had kids at the cottage, how summertime/lake time/boating everything would be complete. I still believe it is, having a child in my life has been so fulfilling and I love seeing him grow and experience things for the first time. What I wasn’t prepared for, was the first few years of never feeling like you can relax on the lake. Why you may ask?? Because you have a small person whose life you value above all others, running around like a wild person who thinks they are invincible. (well at least mine does!) Never the less we have been enjoying summer and I have swimming lessons on the very top of my never-ending to do list. Here are a few pictures from our Muskoka adventures thus far.